Compelling speaker, bestselling author, and Harvard psychology professor Steven Pinker has already received the ultimate book review from Bill Gates: “It’s my new favorite book of all time.” Now, a week after the publication of Enlightenment Now—a masterfully argued and timely defense of reason, science and humanism in the face of tribalism, authoritarianism, and demonization—a fresh wave of positive reviews have rolled in. 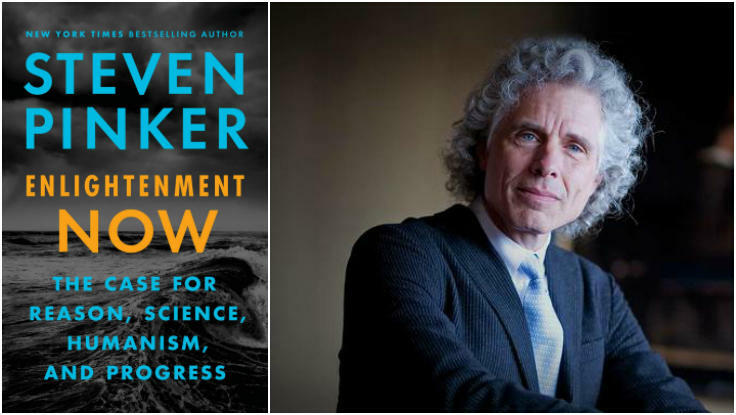 Steven Pinker’s book Enlightenment Now: The Case for Reason, Science, Humanism, and Progress is available now wherever book are sold. To learn more about Steven Pinker, or another speaker on psychology, optimism, or society, contact The Lavin Agency.